RIM, poor RIM, can’t seem to catch a break: It’s just revealed its latest finances, which represent record sales figures for its iconic BlackBerry smartphones…but somehow managed to disappoint Wall Street analysts, who expected even more. 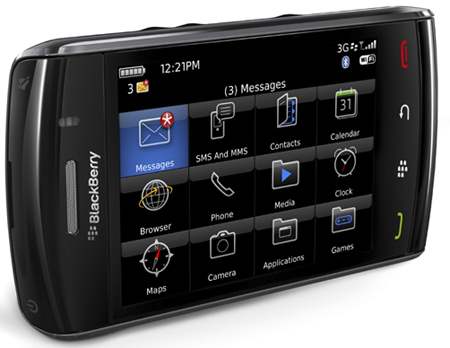 To be precise, RIM reported it had shipped 10.5 million BlackBerrys in the three months ending in February 2010, representing a personal best for RIM. Among these 10 million phones, around half–actually 4.9 million–were new subscribers, demonstrating what a powerful ally RIM is to its cell-phone network partners. Over roughly the same period, Apple, with its super-hot-ticket iPhone still riding high in the public and media’s eyes, sold 8.7 million units…meaning RIM is firming up its position as forgotten king of smartphoneland. This power is also reflected in the company’s profit margins: 45.7%, and higher than analysts had expected. So why did RIM’s share price slide so, down 7% after the earnings were revealed? It’s counter-intuitive. RIM’s solid reputation, and its position as the go-to smartphone of choice for many business users around the World means it can generate very reliable and predictable sales. And that’s the rub: analysts were expecting RIM to post sales figures of around 11 million BlackBerrys. These expectations–however unrealistic–are likely what triggered the sell off. The iPhone sales figures are also probably figuring a little in the mix. The fiscal calendars of the two companies are offset by two months, so we can’t get a concise month-to-month comparison of unit sales (which would offset any seasonal variations). Plus, everybody knows that the iPhone 3G S is due for an upgrade in just a few months (MacRumors buyer’s guide, a generally reliable finger on the pulse of Apple products, has even rated it as a “don’t buy–upgrades soon”). At this point in the cycle, plenty of folks will be waiting to buy, and this may have pushed iPhone sales slightly downwards. In the light of these effects, it’s easy to see why the expectations for RIM would be so enthusiastic. To keep up with this news and more, possibly on your BlackBerry if you’re a businessy type, follow me, Kit Eaton, on Twitter. That QR code on the left will take you to my Twitter feed too.